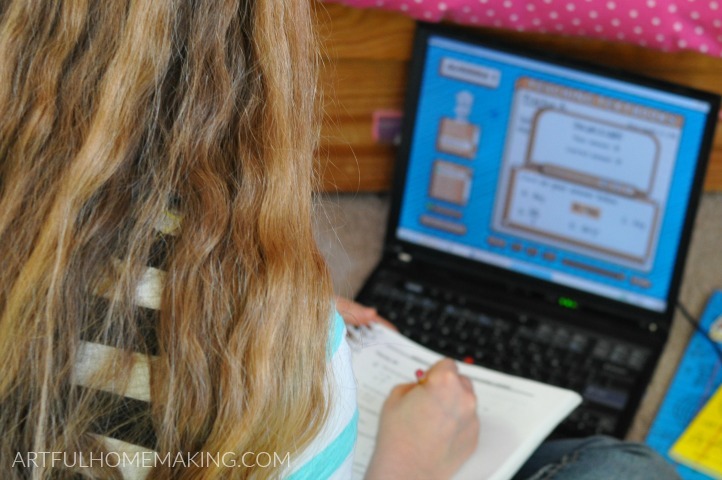 The best homeschool math program is now online! Keep reading to find out how you can get a free trial and enter to win a one-year subscription to Teaching Textbooks 3.0! This will be our 16th year of homeschooling, and our 6th year with Teaching Textbooks. For many years we struggled along with various math programs. As a busy mom, I found teaching math to be a burden. Then, one day, a friend mentioned that they were using Teaching Textbooks and what a help it had been to their family. I had heard of Teaching Textbooks before, but I was afraid to shell out more money for something that might not work for us. But I was desperate for help, so we decided to try it. That was several years ago, and I’ve never regretted that decision! Year after year, I know that Teaching Textbooks will be part of our homeschool. So, you already know that I’ve loved Teaching Textbooks for a long time. For us, it’s been the best homeschool math program available. But did you know that now it’s even better? Teaching Textbooks 3.0 adds yet another dimension of usefulness to an already-awesome program. What’s the improvement? Now it’s online! With Teaching Textbooks 3.0, you no longer have to keep track of disks. I know keeping up with disks and keeping them in good shape can be difficult. With 3.0, you won’t even have to mess with the disks since everything is online! 3.0 also has new buddies! My kids love the buddies in each lesson, so the new ones will be a welcome addition for many kids. But probably one of the biggest benefits will be the permanent grade storage online. This means that the grades will always be accessible, as long as you have an internet connection. And best of all, even if you don’t continue with the subscription, they will still store those grades for you. 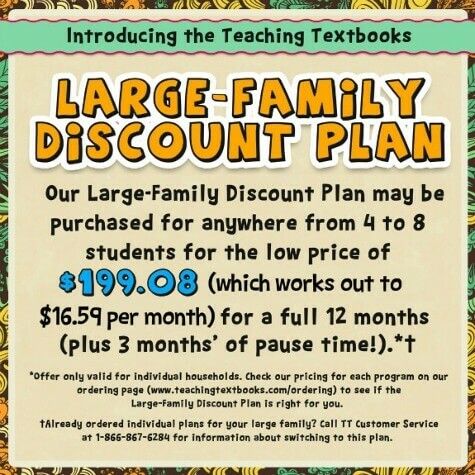 There is also a large-family discount plan to help you save on your homeschool math curriculum. Go here to learn more about the plan. Teaching Textbooks 3.0 Works on Mobile! If you need your kids to have access to their math while you’re away from your computer, it does work on mobile. Go here to learn more about using Teaching Textbooks 3.0 on mobile. Try Teaching Textbooks 3.0 for Free! If you’d like to find out more about Teaching Textbooks 3.0 and exactly how it will work for you and your family, take advantage of the free trial! With the free trial, you can try the first 15 lessons of any level of Teaching Textbooks (and, you’re allowed to try out more than one level—there are no limits to the amount of products you can try!). Click here to sign up for a free trial (or click on the graphic below). Still have more questions about the free trial? Go here to check out the FAQ page. I’m so excited to be partnering with Teaching Textbooks to bring you a chance to win a year’s subscription to Teaching Textbooks 3.0! Enter the giveaway through the form below, and be sure to sign up for a FREE Trial of Teaching Textbooks 3.0 (it’s the top entry choice, worth 5 points!). Disclosure: This post and giveaway was sponsored by Teaching Textbooks. This is a program I’ve shared about and loved for years, and this post contains my honest thoughts. It has literally saved my sanity! Read my full disclosure here. Sharing here. We have teaching textbooks. Went from tears to happiness! Thanks for sharing on the homestead blog hop. Hope to see you again this Wednesday. I have heard a lot of wonderful things about this curriculum, though I have never tried it myself. Thanks for the wonderful information! It’s been such a lifesaver in our homeschool! What a great giveaway. We love teaching textbooks! So glad they’ve gone online. We’re on the verge of using their Algebra this year. I still have lingering doubts based on some negative reviews regarding low SAT scores. I’d love someone to calm my fears, because I would love to take the plunge and be confident enough to make the switch. I’d recommend signing up for the free trial, which allows you to try out the first 15 lessons of any level (and you can try more than one level at a time). That might give you more of a feel for it before you take the plunge and buy it. We are on our fourth year of using Teaching Textbooks and love this program. We are doing the free online trial right now and my kids think it’s the best. Teaching Textbooks really helps our days go smoother. I am due with our 8th little one in September and have no worries that the kids will be able to keep up on their math. Thank you for the great giveaway! 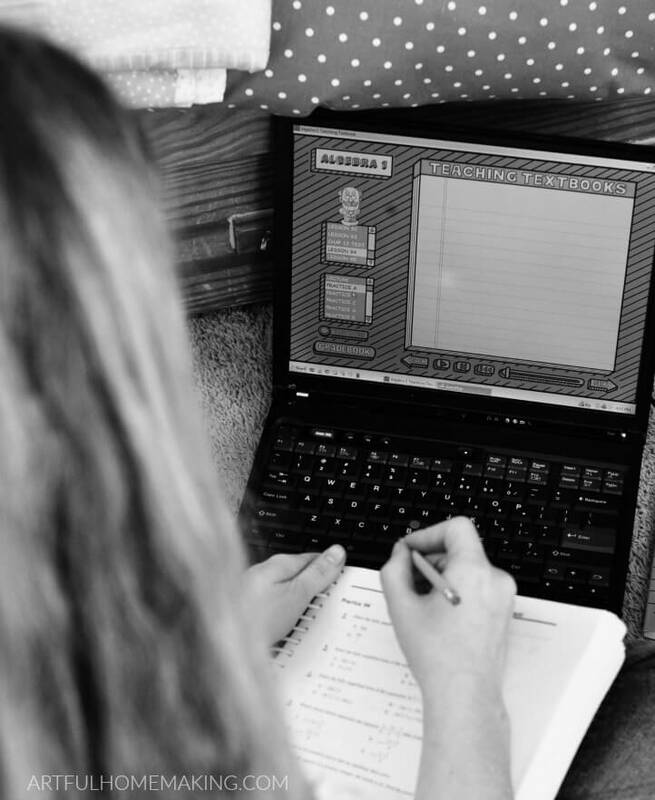 I’ve heard nothing but terrific things about this program from trusted peers, though we’ve never tried it in our homeschool. We LOVE Teaching Textbooks! Thank you for the chance to win! We have been using Teaching Textbooks for several years now and it has been a lifesaver! So much stress taken off of m, as mom and teacher, in this subject since we found it! Would love to win a subscription-I have 6 of my 10 children that I’m officially homeschooling right now, and this would help tremendously. Thanks for the giveaway! I feel the same way—it removes so much math-related stress! We loved the original Teaching Textbooks then bought a new computer and the disks no longer worked! We were stuck using the books with no computer access. So this online version looks awesome! What a great idea for the best math program we’ve ever used. I agree, such a great idea to create an online version! 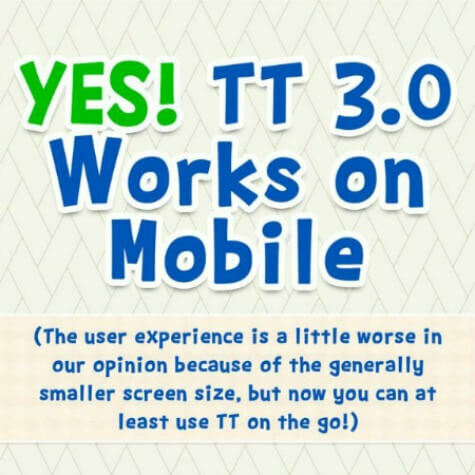 We have used TT for a couple of years, and we LOVE it (as much as someone can love *math* anyways). Also, I’m a fairly new follower to your blog, and I’m really enjoying it! Thanks for all you do. And keep up the good work! Jen, I had to laugh at your comment about loving math—I’ve said that same phrase many times! 🙂 And thank you so much for the encouragement—that made my day! This is a great giveway ! And perfectly timed. I was looking at teaching textbooks for the first time and 3.0 looked like a great idea. So it is on my too buy list still for this fall. I think the pause button is a great idea. Glad it was good timing! I thought the same thing about the pause button, too. Thanks for the giveaway. We want to try TT out this year. Teaching Textbooks makes life so much easier! Really excited about this opportunity! My son is entering 3rd grade and I have been wanting to try TT for a few years! These look like great homeschool resources. It’s really been so helpful to us! We plan to use teaching textbooks for the first time this year, and I’m so thankful for the online version! Thank you for hosting the giveaway! How exciting! I think the online version will be such a help to so many families! We have never used it but I am very interested! It’s been such a game-changer for us!